In Pickleville you will meet a diverse cast of pickle and olive characters, with fun names like Gert and Mertin Gherkin, Olive Pitt and Karl Kalamata. These characters all play important roles as the story develops. The end result is a humorous story, full of tongue twisters, that delivers an important message about diversity and acceptance. It is fun for readers of all ages. 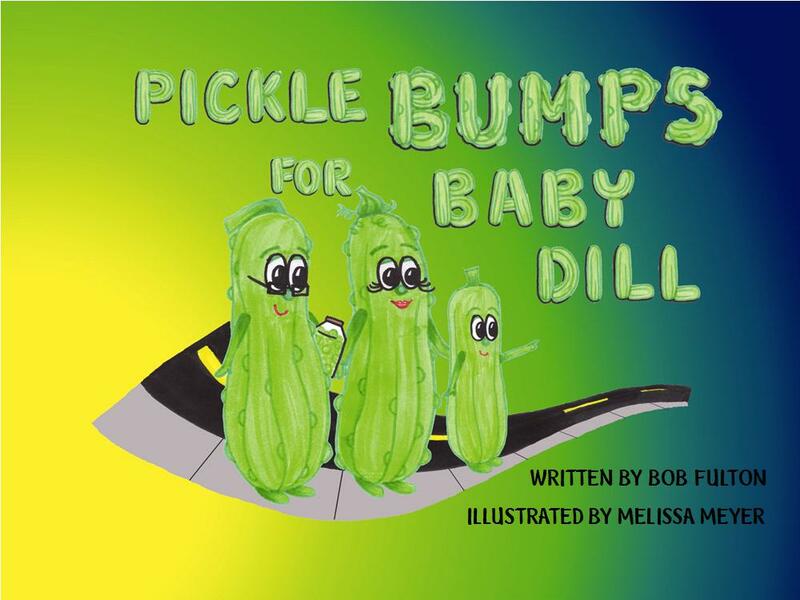 Bob Fulton has always enjoyed reading books to his four grandchildren and Pickle Bumps for Baby Dill is his response to one of his grandson's requests to “tell us a story about a pickle.” The result is a fun, colorful and beautifully illustrated story about Baby Dill, who was born without pickle bumps. The story's important message addresses topics of diversity and acceptance. Bob and his wife, Jackie, have visited schools all across Minnesota and Wisconsin to share the book's message. They would love to visit your school to do book readings, workshops and discussions.